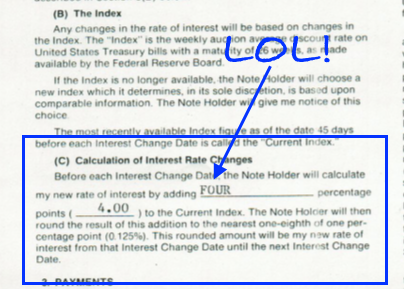 Mortgage Interest Rates Ain't Bad, Y'all. The Ghost of Interest Rates’ Past: We Have It Good, Y’all. Just a few months after I was born in 1982, my parents moved from Baton Rouge, Louisiana to Cheshire, Connecticut, a Pleasantville-like town that at the time maybe had 10,000 people in it. 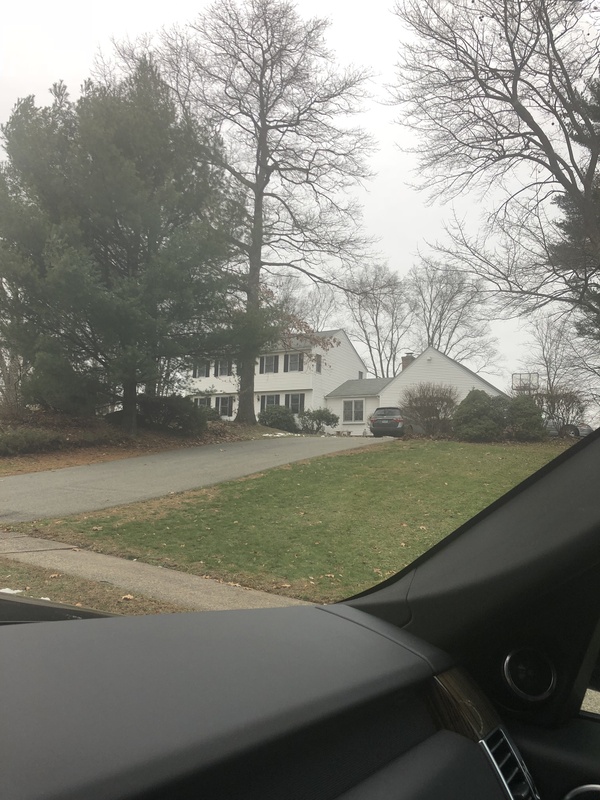 After weeks of searching and my mom not being happy with anything, they finally purchased the “home on a hill” – literally. Weatherside Rd was a big hill and our house was at the top of it. Looking back today, it’s not nearly the cliff that I remember it being, however the abject fear of sledding down the icy driveway will haunt me forever. Since my Dad retired 10 years ago, he has been slooowwwlly de-inventorying old stuff out of the attic, file cabinets, storage, etc. Recently, he came across their old home purchase and mortgage documents from that house. 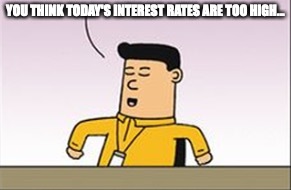 And with rumblings from clients and the market in general talking about how interest rates are “too high”, I’m here to give the ultimate reality check. Here’s where the reality check sets in. 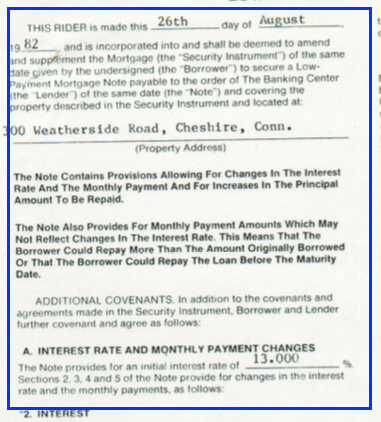 My Dad’s initial interest rate on the first mortgage was 13%!! It gets better though…it was an adjustable rate mortgage (ARM), so every year it adjusted based on the index at the time. Today, a typical ARM has a cap on the maximum rate that can be charged. Not in 1982. This thing was scheduled to change by 4% FLAT every year. $30,000 at 16%, 5 year balloon payment. They say that madness and genius are separated by a fine line, or rather a murky gray area. For my Dad to put this deal together and shell out another $22,500 from the sale of their house on Shadeland Dr, he must have known something no one else did. I’m sure his real estate agent thought he was crazy. Whether it was genius, timing the market or luck, my parents fortunately did not have to actually LIVE through a rate adjustment or the insane second mortgage payments. 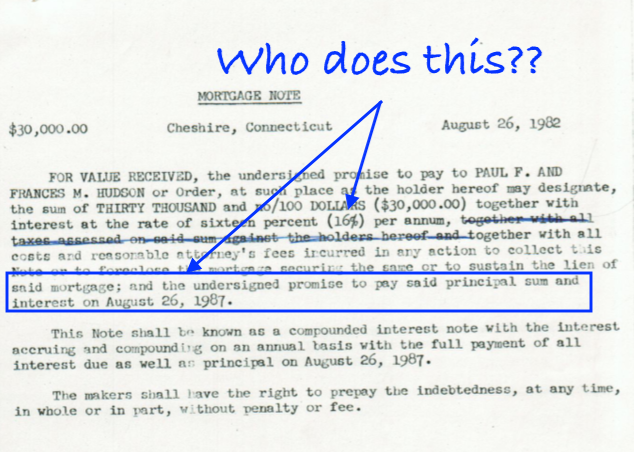 By the middle of 1983, they were able to refinance EVERYTHING under a single fixed rate mortgage around 11-12% (still high!) and then a few years later around 8%. 1.) You must have a plan. My Dad did whatever it took to get into that house to make my Mom happy, and knowing him he had no intention of ever keeping this situation long term. Banking on his understanding of markets and his own financial strategy he was able to set things up for a better deal in the future. Even if rates went up, he likely had a plan to consolidate both loans into one. 2.) Today’s rates are STILL amazing. Keeping in mind that the historically low rates in the 3% range from 2012 to 2017 were caused by a semi-historical market crash (aka, an anomaly in overall market history), the fact that our booming economy is still doling out rates right at 5% is amazing. 5 year fixed ARM rates are still in the mid 4s, so if you have a 5 year plan you can take advantage of those as well. You need a real estate agent who understands a home purchase is not JUST a moment in time – it’s an investment, which TAKES time. Let me help you make that plan, no matter what market we are experiencing and ensure that you stay on track towards your goals.